Choosing reusable products instead of disposable can sometimes feel like a hassle, but it’s well worth it if you want to save money (and lessen your impact upon the environment). There are reusable alternatives to most things now, although not everything is as easy to get your hands on! We’ve got some simple ones that aren’t too difficult to achieve so you can get saving. 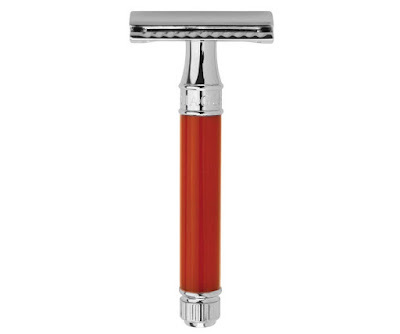 Rather than using disposable razors or even cartridge razors that, while being reusable, are made of plastic that will need replacing eventually, you could try a double edge safety razor. DE razors are likely what your grandfather would have used shaving, but they’ve made a big comeback recently due to more awareness over plastic waste. They are now extremely popular among men and women. A single razor could last you a lifetime. The blades themselves will need replacing periodically (depending on how often you shave), but they’re extremely cheap: 20-45p a blade. The razor itself will likely cost around £20 (sometimes higher depending on which you want), but when this is compared to the number of disposables used in a lifetime, it’s well worth making the switch. Safety razors are the most economical way to shave and rather than throwing things away, the blades can be recycled so you don’t end up adding loads of plastic to a landfill! Periods are expensive, but that’s something that we often accept as women. However, there are reusable options and could save you a huge amount of money on sanitary products each month. While there are options for reusable sanitary towels that can be rinsed out and put into the washing machine, these do come with an expensive initial investment -- particularly because you’d need a large number of them to last you through your period. However, menstrual cups are one of the most popular reusable period products. Menstrual cups are not too expensive initially, usually costing around £10-£20 -- and they last around a decade. They are inserted at the beginning of the day (or night), collect blood in the funnel-like shape for around 10 hours, before being removed and the contents poured away. They can take a bit of getting used to (they’ll be a little messy to begin with), but they’ll save you a significant amount of money in the long run. If you wear makeup every day, or even several times a week, the number of make up wipes you get through will add up! There are reusable alternatives that will save you money. You can use squares of material from old t-shirts if you’re really looking to be thrifty, but you’ll want to make sure they’re made from pure cotton so they’re soft enough to be used on your face. Alternatively, there are lots of reusable wipe products available to buy. Bamboo is a popular option as it’s really soft and naturally antimicrobial. Use water with your choice of reusable wipe to remove your makeup. It’s much better for your skin than wipes and will save you money! This is easier said than done if you have little children who are learning to wash their hands, flush the toilet and wash themselves. However, there are some ways to reduce water waste. Get your youngsters in the habit of turning off the tap. Whether it’s after they wash their hands or while they brush their teeth, it’s a subtle yet highly effective way to save money. When you run the tap to wash your face, put the plug in the sink and use that water to rinse your face. Over time, you’ll end up saving a lot of water. Swapping your shower head for a low flow head will reduce the amount of water you’re using. A low flow head mixes air with water to keep the pressure high while cutting down on the amount you’re using. It’s easy to use too much of your bathroom products without paying much attention, but being careful with how much you use will make your products last longer and save you money. For example, you only need a pea-sized amount of toothpaste to effectively brush your teeth. If you currently cover your toothbrush head then you could half your toothpaste use and save a lot of money throughout the year. It’s easy to use too much shampoo and conditioner. The best way is to start with a really small amount -- less than you know you’ll need -- and apply that to your hair. Then use a tiny blob more and apply. If you still need more, then use a tiny blob more until your hair is washed. You need a lot less shampoo and suds than you might think in order to ensure your hair is clean. It’s also worth noting that a lot of specialists suggest that it’s better to only shampoo the roots of your hair and then condition the ends. Sticking to this rule might feel strange at first, but it’ll greatly reduce the amount of shampoo and conditioner you use and will also make your hair healthier! There are loads more ways that you could save money in the bathroom. If you have more ideas, please share them in the comments! I love this time of year. To me it's more like the start of a new year than January is.